The Red Planet ... long a haunting sight in the night skies of man. 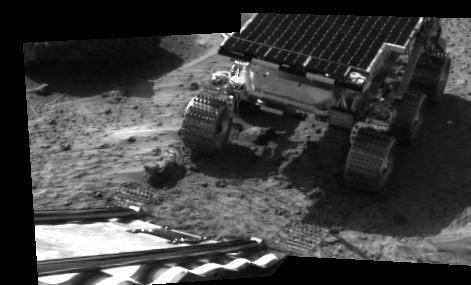 It is starting to give up some of its secrets to a little rover from Earth. The Mars Sojourner is a microwave oven sized box of computers, instraments, motors and (importantly) 6 wheels to take it over the Martian surface in search of interesting things to study. 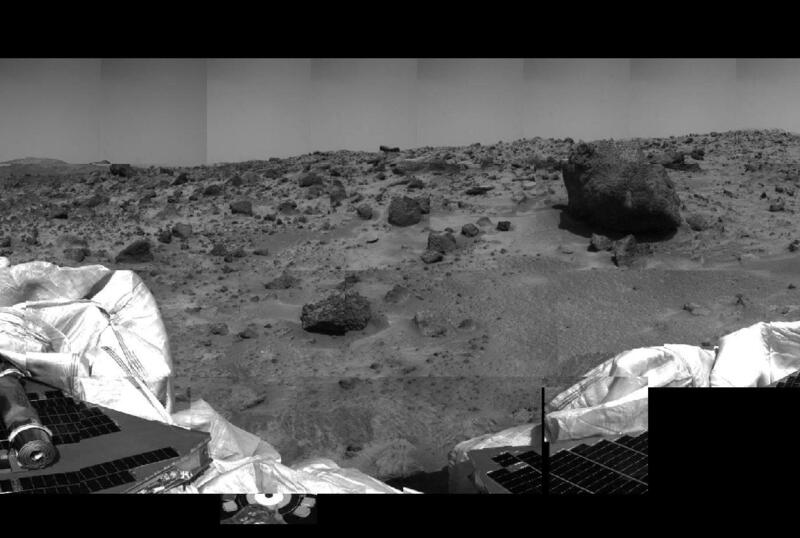 Build and launched for only $147 million, the Mars Pathfinder probe delivered its little package to the surface on July 4th, 1997; American Independance Day. After a 7 month journey, an untested aerobrake manouver and a drop of about 60 ft, the air-bag like ballons that protected the craft did exactly as hoped for and bounced a few times before coming to a stop on the Martian plain known as Ares Vallis. This area is thought to have been the site of a vast flood from about 1 billion years ago.